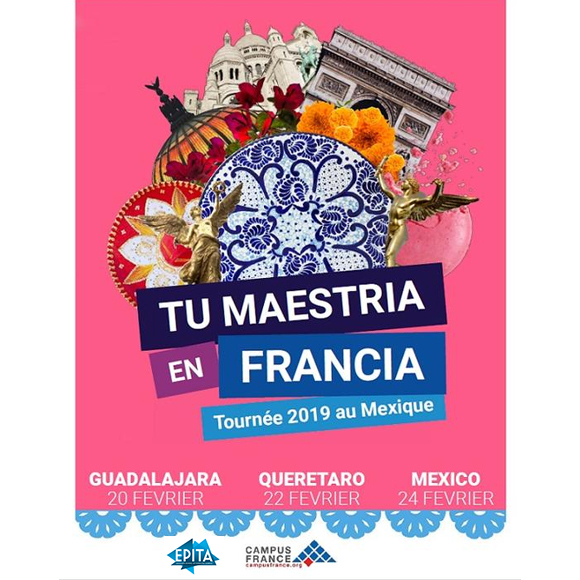 Unmissable event organized by Campus France and the French Embassy, the recruitment tour « Tu Maestria en Francia » will be held this year in three major university cities in Mexico from February 20th to 24th 2019. For the first time, EPITA will attend this fair through the presence of the International Programs team, they will give you all the needed information about EPITA’s engineering program, the application process and studying in France. At EPITA, you do not need to speak french to join our At EPITA, you do not need to speak french to join our computer sciences program! Indeed, we do offer a Master of Computer Science (Msc) and a Master of Computer Engineering (ME) completely taught in the language of Shakespeare.